Air Canada is running its discount program for motorcycle shipping again in 2018, and they’ve just determined the prices. In the past few years, Air Canada has been running a promotion that allows riders to ship their motorcycles in the cargo holds of widebody jets. We’ve had several CMG readers who’ve used the service, and while there’s been some confusion over pricing in the past, most have been happy with the service and pricing. Now, Air Canada says it’s offering the program again, for its usual April 1-September 30 season. But unlike years past, which saw the airline offering flat rates through its promotional materials, customers must now call in to get pricing on flights. And, we’ve been told that the price tag is higher this year, thanks to increases in the cost of jet fuel. Remember, Air Canada only offers this service to specific destinations. In the past, South America has been on the list, then off the list, thanks to issues with government red tape on the other end. However, flights to Europe and inside Canada should be back on as usual. For more details on how to prep your bike, where you can fly to, and how much it will cost, your best bet is to contact Air Canada after checking out their documents on the shipping process. Police throughout the East and West Kootenay will be stepping up enforcement and adopting a zero tolerance policy with respect to motorcycles that have altered their exhaust pipes or installed after market equipment to make the motorcycle louder. Many motorcycle riders will say “loud pipes save lives.” This topic has been widely debated in the motorcycle community for a long time. Motorcycle riders who have loud exhaust may not realize the impact that the excessively loud pipes are having on others around them, such as area residents who are woken up to loud motorcycles at night, pedestrians who have to hold their ears to protect from the loud noise or other motorists following behind or beside these motorcycles, East Kootenay Traffic Services RCMP noted in a June 1 media release. A loud motorcycle exhaust can be painful to the ears, cause medical problems as well as drown out more crucial sounds such as approaching emergency vehicle sirens, car horns or cross walk signals. Modifying existing exhaust or installing after market exhaust pipes that do not meet the requirements under the Motor Vehicle Act is illegal in British Columbia. As well as gathering the usual objective evidence, police officers can now use their own “subjective observation” to determine if a motorcycle exhaust is too loud, and sound measuring equipment such as decimeters are no longer needed due to a Supreme Court of Canada ruling from 2017. Riders who believe that their loud exhaust pipes are making them safer on the road would be better off to adopt a ‘ride to be seen’ mentality. Wear high visibility clothing, an approved helmet, ride defensively and make sure your motorcycles lights are functioning properly. Those motorcycles riders found to have loud after market exhaust will be issued a $109 fine as well as a formal inspection notice to have the motorcycle inspected (at the rider’s expense) to determine compliance with the Motor Vehicle Act.Police will be also stepping up enforcement and adopting a zero tolerance policy on B.C. drivers who have illegal window tint on their vehicles as well as not displaying their front licence plates. “Many motorists may feel that this should not be a priority for police but with the increase in use of electronic devices while driving – window tint and no front licence plate make it harder to report distracted drivers to police. Many are electing to not display their front licence plate and apply window tint in an effort to circumvent the distracted driving laws,” East Kootenay Traffic Services explained. “Having tint on side windows is a safety concern and also makes it harder for police to observe distracted drivers as well as those not wearing their seatbelts. Applying tint to front side windows also reduces visibility for the driver at night time or during inclement weather. The fine in British Columbia for applying solar film window tint to front side windows is $109 per window. Any vehicle found equipped with illegal tint will be issued a ticket as well as a mandatory inspection notice at the driver’s expense. It is also illegal in British Columbia to not display a front licence plate in the vehicle manufacturers intended location. “In other words you cannot display your front licence plate on your dash board, it has to be affixed to the front bumper where it was intended. The fine for not displaying your front licence plate is $109. Any vehicle found not displaying their front licence plate in the correct fashion will be issued a ticket,” explained Cpl. Ryan C. Bacica of East Kootenay Traffic Services. 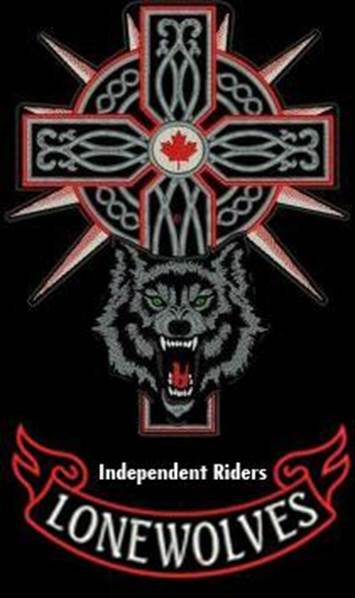 SUMMERSIDE – Motorcyclists who wear certain motorcycle club colours will have trouble getting into Legions across P.E.I. and nationwide as the organization prepares to instate a “no colours” policy. The new rule has impacted an Atlantic Confederation of Clubs and Independents Unity Ride that had been set for the Miscouche Legion this past Saturday.The ride, organized by the ACC, was for club members, independent bikers, and enthusiasts to have a chance to get together, discuss current events in the Atlantic provinces, and then end it off with a ride. Edwin DesRoches, president of the Miscouche Legion, declined to comment about the reason for his organization’s decision when contacted by the Journal Pioneer. At the national level, Legion official Nujma Bond said the topic of banning “outlaw motorcycle club” (OMC) and street gang colours has been discussed. Colours include club logos and rockers. Bond is the communications manager for the Royal Canadian Legion Dominion Command. She says the topic came up after a Remembrance Day ceremony that took place in 2017. For Jerry Arsenault, a veteran with over 30 years of service, it’s disappointing. Arsenault is a member of the Bacchus Motorcycle Club. He’s also a veteran of the Afghanistan conflict and served in the Gulf, all through Europe, the Caribbean and more.